Mobile major Nokia is among the very few companies that decided to build its smartphones by embracing the Windows platform, and that too exclusively using the Windows OS. The global smartphone market is certainly dominated by the Android based handsets, which are thought to be offering better experience in terms of apps. Thus, there have been a lot of speculations regarding the rather off-beat decision of Nokia and its viability considering that it has already lost its past glory. However, Nokia has really managed to come into light and grab people’s admiration with its very popular Lumia range based on Windows OS. The Lumia lineup has also got the company the much needed boost at the time when it was feared to be lost into oblivion. Nevertheless, after getting the needed attention with its very successful Lumia range, the all important and dominating Android phones in the market must have been haunting Nokia. Thus, the Finnish mobile major has finally released its ‘X’ range in the global market to please all those who thought the company would be better off by employing the Android operating system instead of Windows. Nokia had announced the launch of its new Android based X range at the 2014 Mobile Web Congress, which comprised of the very cost efficient Nokia X, the higher specified X+ (Plus) and the bigger in size Nokia XL. The Nokia X Plus can be termed as the bigger (not in size) brother of the recently very popular Nokia X. The Plus has better specs and features than the very cost efficient X, though the X Plus is itself a very affordable Android smartphone as well. 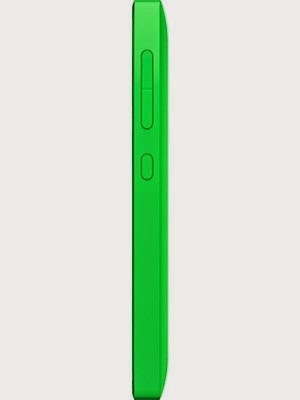 The Nokia X Plus has the similar styling as the basic X, which is simple, neat yet vibrant. Some say that it looks rather cheap keeping to Nokia’s Asha range. However, given its price point it looks quite appealing and smart. While the budget phones usually look drab and bulky, Nokia has made its X range look sleek and styling with a youthful appeal. The X Plus gets a uni-body design which is very well complemented by the various bright color options. This makes it stand apart from the boring looking budget smartphones and will also impress the youngsters. 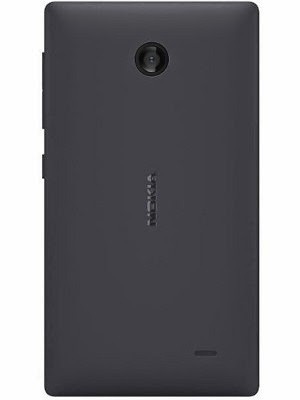 Built wise, the Nokia X Plus carries Nokia’s reputation of building good quality, sturdy handsets. The plastic quality is also good enough to handle everyday rough usage, while its smooth and sleek design offers a good to hold feeling and easy usability. The X Plus comes with a responsive IPS LCD capacitive touchscreen in a good 4 inch size. The screen has a resolution of 800 x 480 pixel along with 16M colors and 233 ppi pixel density. The screen quality is quite good offering colorful, detailed and crisp display. The Nokia X Plus is comes powered by a MSM8225 Snapdragon S4 Play dual-core processor ticking at 1GHz, along with a meager 768MB of RAM. The Nokia has incorporated the Android version 4.1.2 Jelly Bean Operating System for the X+, as the OS is known to offer great performance on affordable devices that come along with low hardware specs. This OS also comes in a heavily customized form similar to that of the Nokia X, and does not offer access to Google Play Store, which is a disadvantage. However, this customized OS offers a good amalgamation of the good features of both the Android as well as the Windows platform that can make the experience really enjoyable. Moreover, this OS is also very user friendly and is the ideal choice for the first time smartphone users. So, considering all the usefulness Nokia has done a good job here. The Nokia X Plus comes with a reasonably good camera considering its low price point. It offers a basic 3-megapixel rear camera that has the ability to take nice pictures considering the lighting conditions. It does not also come with a flash, thus it will not be able to provide proper low light photo shooting. The camera does offer the standard good features such as panorama, face detection, etc. The camera also offers video shooting abilities at the rate of 480p at 30fps. The X plus does not offer any front facing camera to facilitate video chats and can’t impress the selfie lovers. Again considering the low price point, Nokia is offering the X Plus with an inbuilt storage space of 4GB. However, Nokia has also offered the flexibility to expand the memory space by up to 32GB with the help of microSD cards. Moreover, to make the deal more attractive, Nokia is also offering a complementary 4GB memory card inside the X+ package. The Nokia X Plus has all the connectivity options to offer to its users such as Bluetooth, micro-USB, Wi-Fi, GPS, etc. The X plus is compatible with both 2G and 3G network. The Nokia X Plus draws its power from a good and sturdy 1,500mAh battery pack with the claimed talk time of an impressive up to 13 hours on 2G network and up to 10 hours on 3G network. It also offers 408 hours of stand-by time and impressive up to 26 hours of music play. Thus, expect it to offer a full day of work as well as entertainment. While the X Plus is more expensive than the very low cost X, it is also a budget phone. Priced at Rs. 11,000 it is an affordable smartphone with all basic good features. 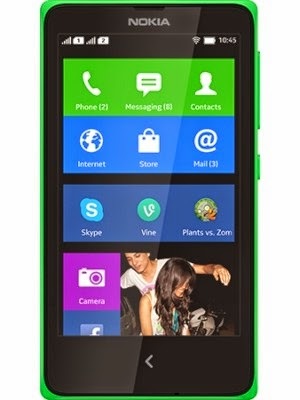 The Nokia X+ is yet another quality and affordable smartphone for all the Nokia lovers to cherish. Though the phone does have its own shortcomings as it does not offer a front camera or LED flash, it can prove to be very useful and offer an overall quality smartphone experience. The X Plus’ cool, trendy design, nice built quality and affordable price tag surely offer a very attractive package for all those who want a good, smooth smartphone experience without a big pocket pinch. Rosy works with 91mobiles - an ecommerce mobile comparison company. Her passion for upgrading her knowledge puts her to research on topics relevant to her industry. Besides, she also likes to share her findings by writing about them in her free time.